We woke up super early today and got up to Cabana’s right as they opened for breakfast. We even beat the sun up! I haven’t seen a sunrise in a long time! 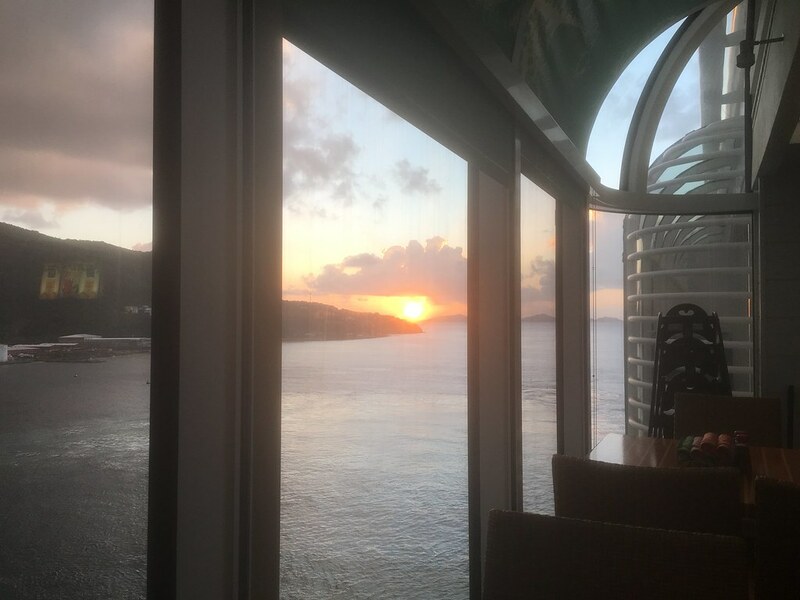 Our breakfast view: Breakfast in Cabana’s is my favorite meal there. I love how themed it all is. Like the seagulls at the drink station. So cute. After breakfast we met in the D Lounge at 7:45. 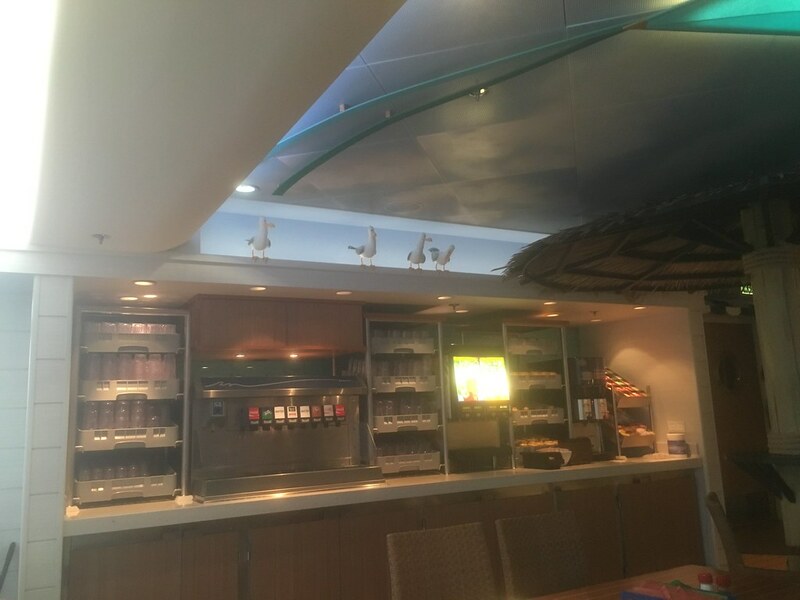 Disney Cruise Line is VERY organized when it comes to port adventures. I checked us in and we waited for the next step. 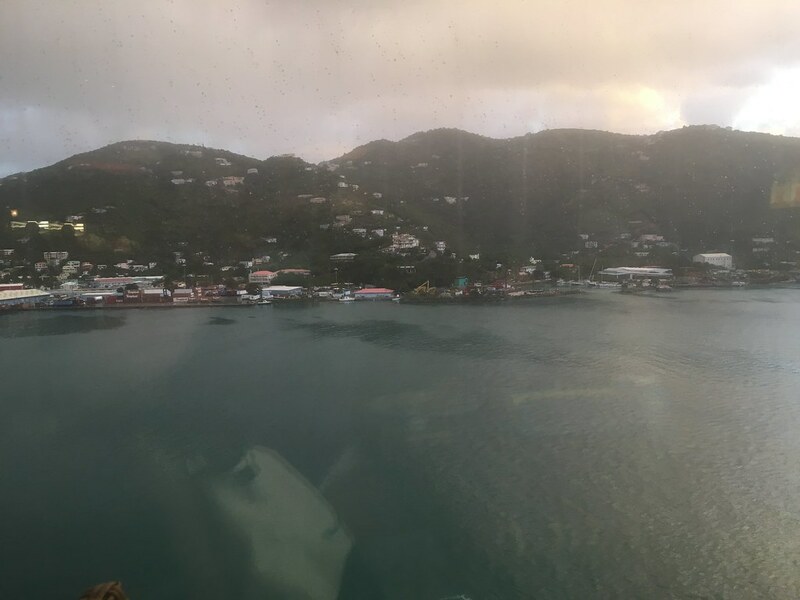 Our tour was Tortola by Land and Sea! 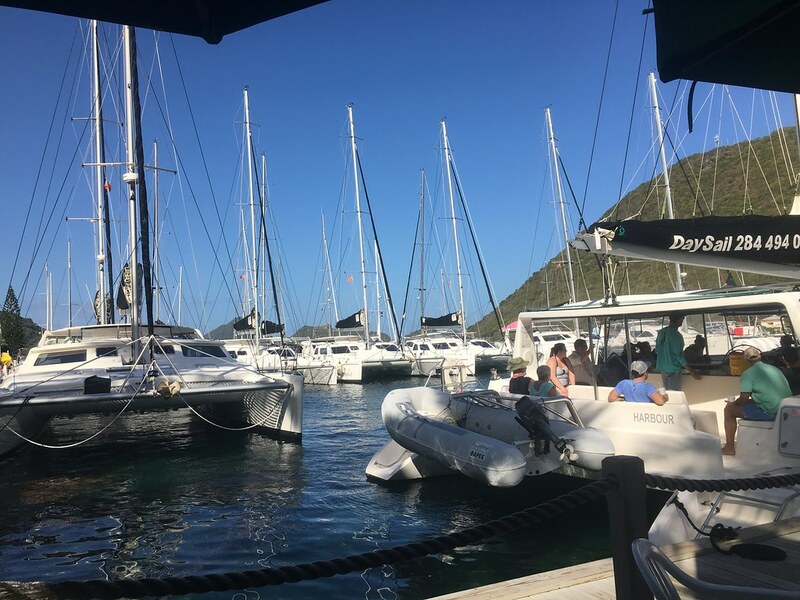 Our ship and another ship in port at Tortola’s new pier. 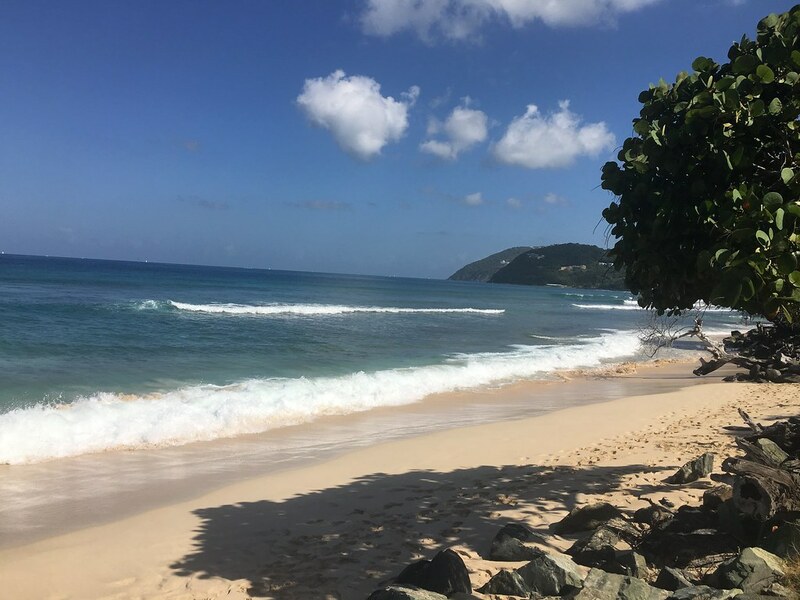 This was our first time in Tortola and we wanted to see as much of it as we could. Well we picked the right tour for that! 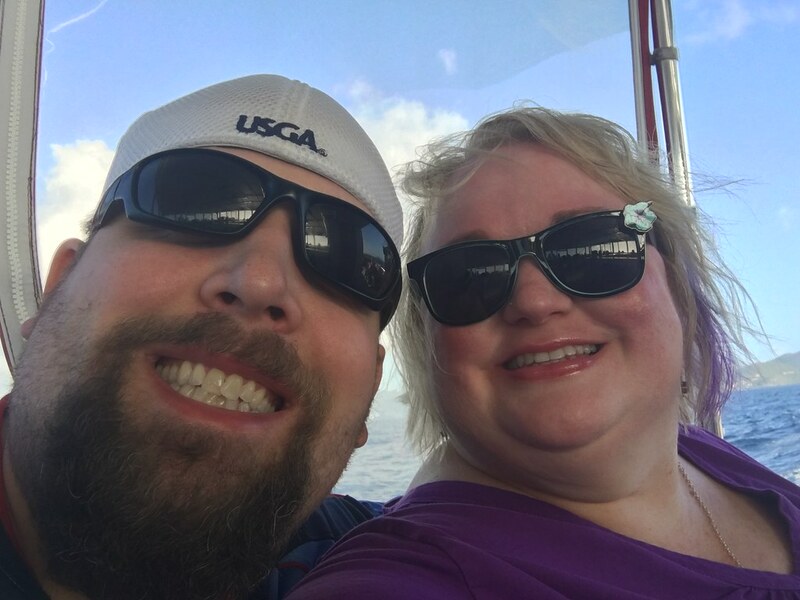 We walked down the pier and boarded a boat that took us out all around the island and to nearby islands. The tour guide was great- full of info! 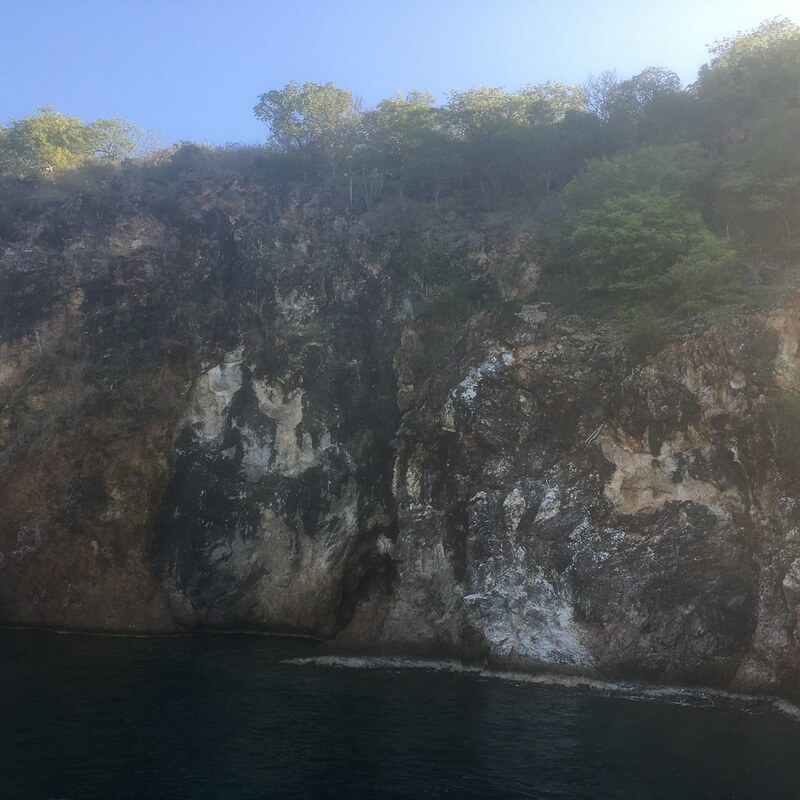 We went to Treasure Island (Norman Island), where pirates would hide their booty in caves. And we saw tons of yachts. 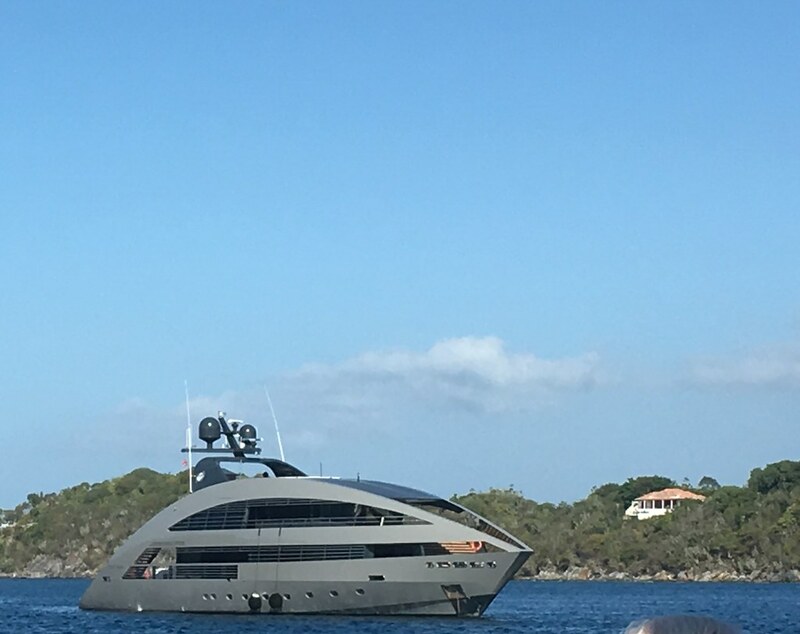 Who knew there were so many giant yachts cruising around the Caribbean?!? That’s how the other half lives! We were on the boat for about 2 hours. 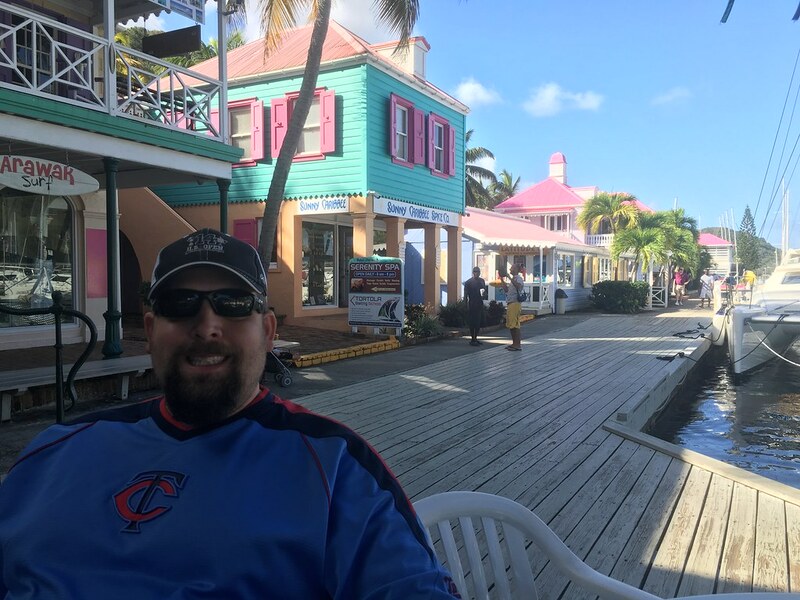 Then the boat let us off at Pusser’s Landing– a small shopping/dining/marina area. We had about 30 minutes to relax and shop. Then a man came into the area where we were all gathered and herded us onto these bizarre open air taxi bus thingies. They were like safari jeeps on a truck chassis. Next started the terrifying part of the tour. The shocks on these bus/jeeps had seen better days. 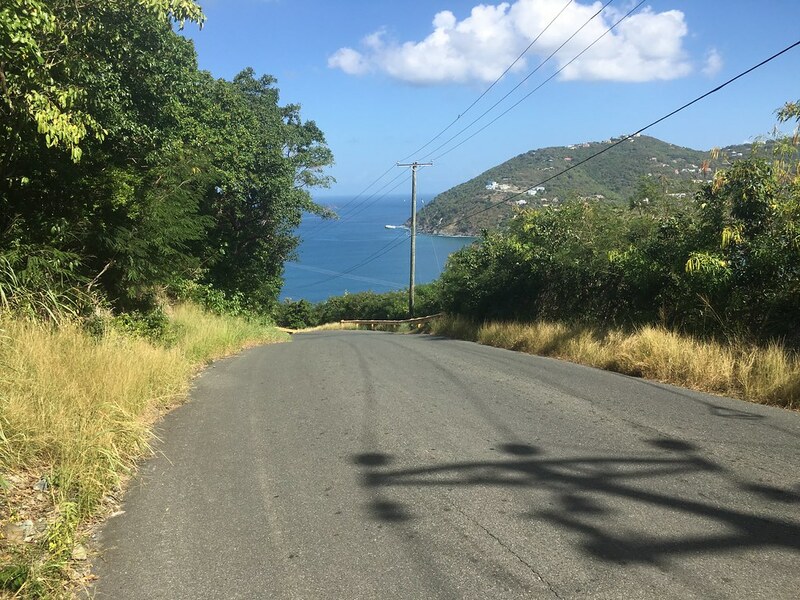 We were bouncing all over the place, barreling up and down these windy, mountain roads, chickens and goats running for their lives trying to get out of our way! We would come to these turns in the road and our driver would just lay on the horn and go. Never mind that you couldn’t see around the corner if there was traffic coming. The roads were BARELY wide enough for one car, so passing traffic was interesting! Our tour guide’s name was Lyndon and he drove us around for about an hour and a half telling us all about the island. 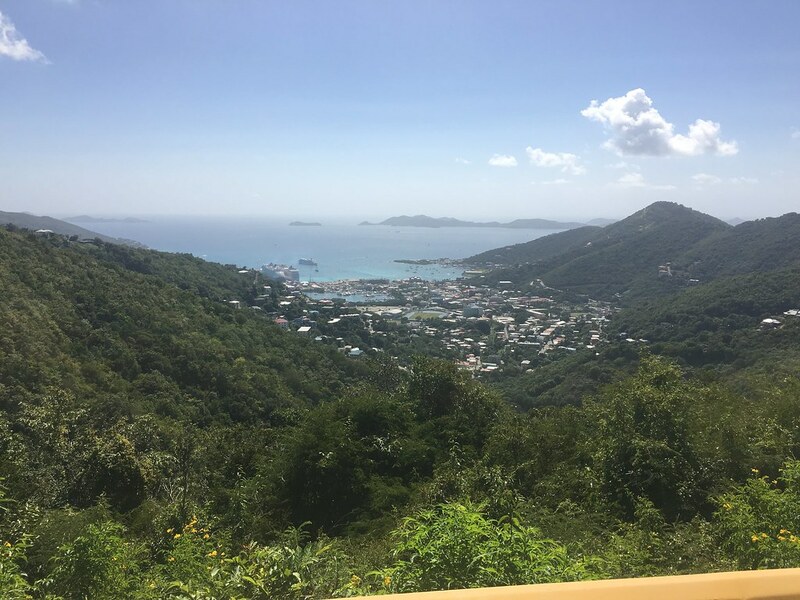 Tortola is the capital of the British Virgin Islands. Road Town is their main town and that’s where our ship was docked. Lyndon stopped periodically to let us off the bus to take pictures. There were some really stunning views. 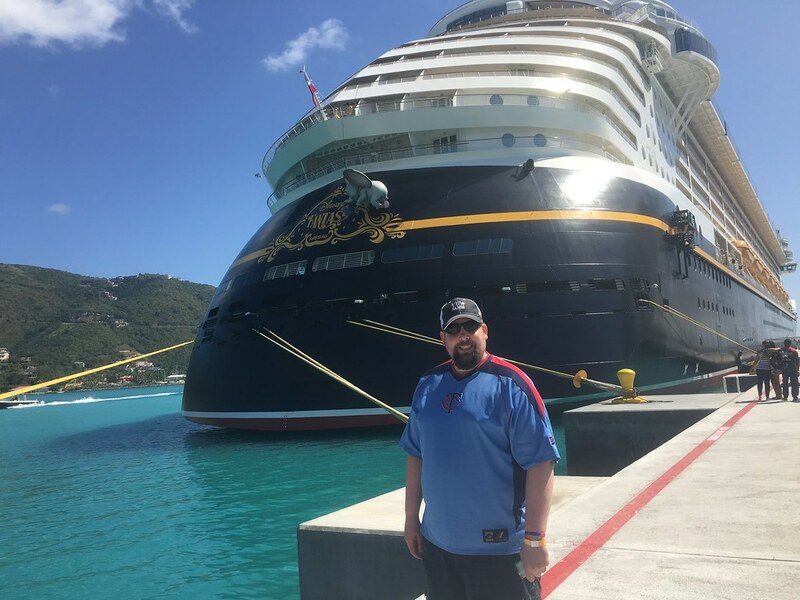 Our ship, the Disney Fantasy from atop the mountain: It was a really fun and interesting way to see the island! We made our way back down to the pier and Lyndon dropped us off where we had to walk through a shopping area (smart) to get to the ship. We were back on board by about 12 noon. 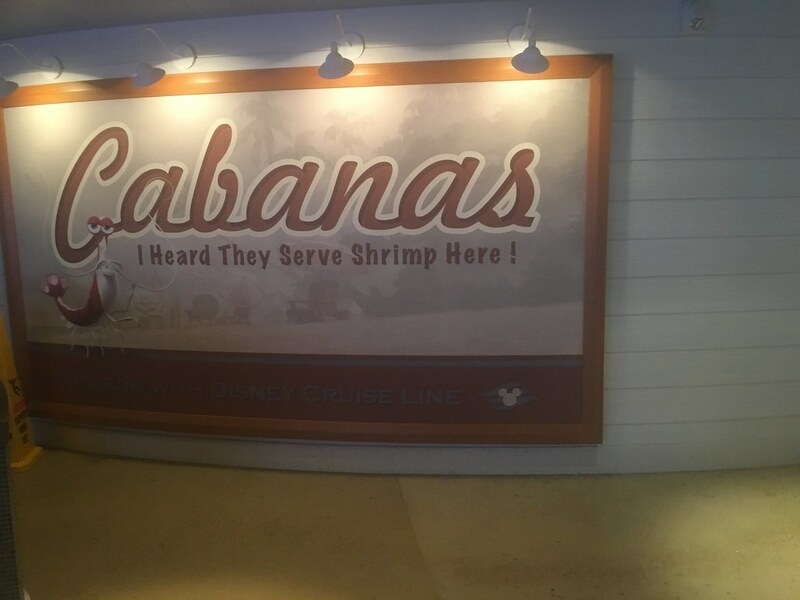 We needed lunch so we headed back up to Cabanas so CSP could get some shrimp. I had a hard time finding anything appetizing. I’m just not a buffet girl unless it’s a breakfast buffet. So we stopped at Eye Scream for ice cream on our way back to our room. 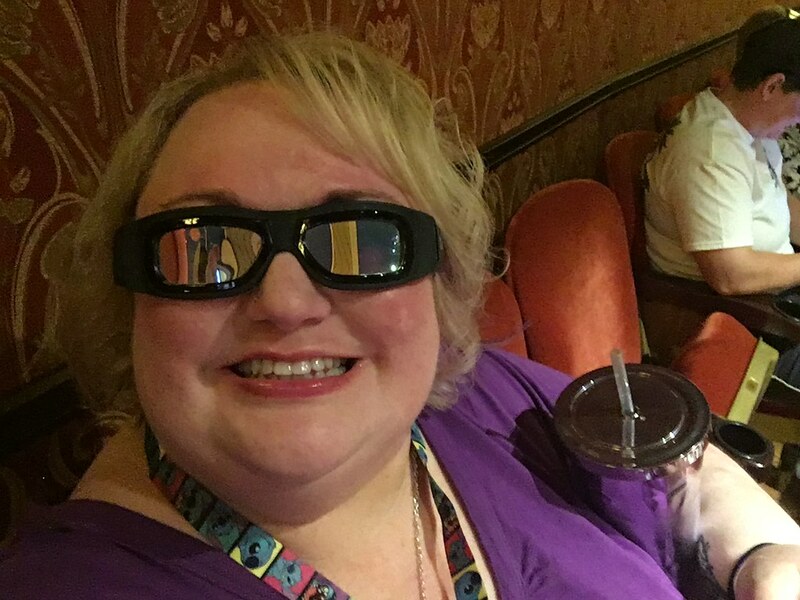 We took a nap then got ready to see Star Wars The Force Awakens at 5 in the Walt Disney Theatre in 3D! CSP had been looking forward to this almost more than any other part of the cruise! We met up with the Family and caught up before the movie started. It was a great movie. Afterward we raced back to our room to get ready for dinner at Palo at 8. 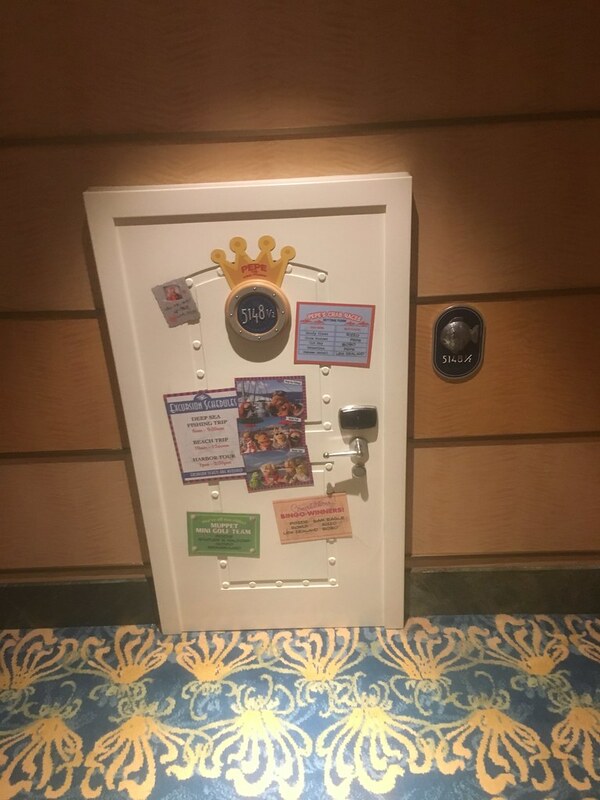 On the way to Palo we passed Pepe the Prawn’s room. SO cute, I always have to snap a picture. 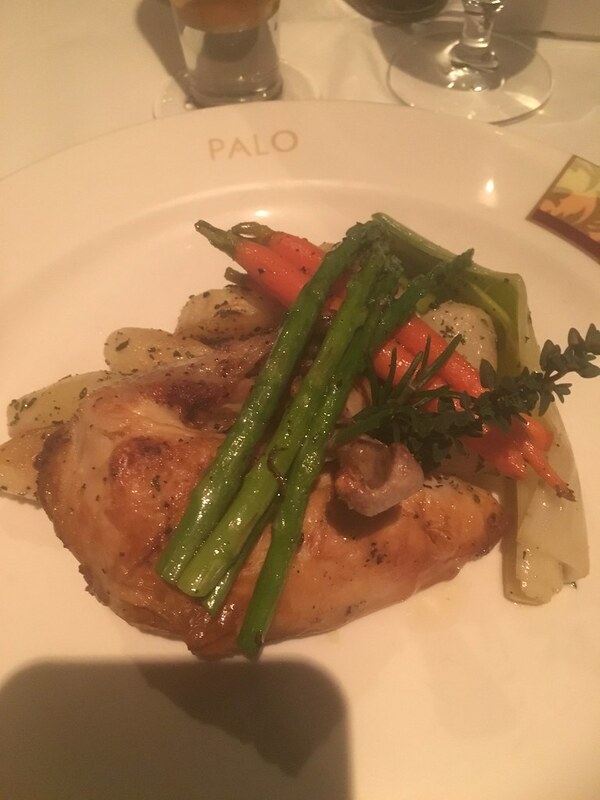 Palo is the adults only Italian inspired restaurant on the ship. Oh man is it good. We look forward to our meal there all year! 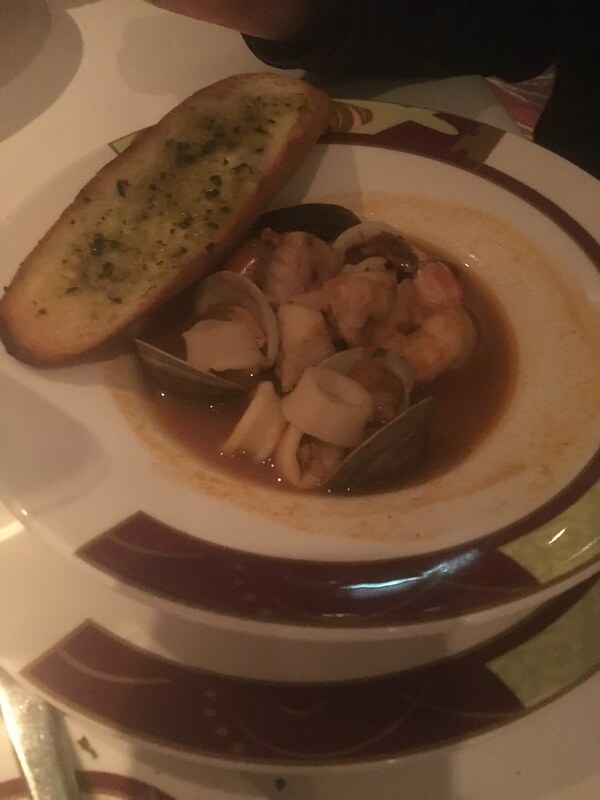 CSP gets the same thing each time- cippino (a seafood stew) for his appetizer and osso bucco for his entree. And each time he is amazed by how good it is! I mix it up and try something different each time. We met up with Amy & Kevin in the Meridian lounge and waited a moment until they took us to our table. Our server was Luca from Italy. So classically Italian too, with the accent and everything. He was great! 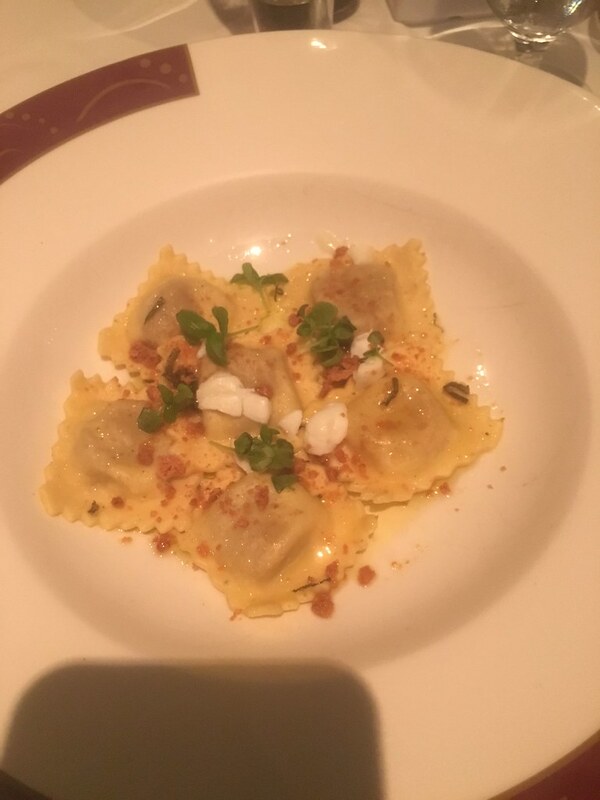 I had the butternut squash ravioli for my appetizer. My entree was the rosemary chicken. 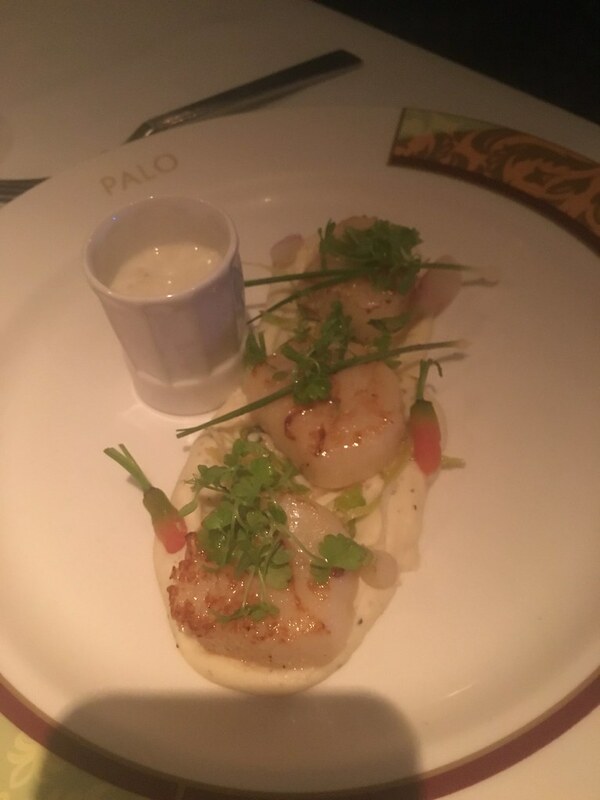 CSP and I also shared the pan seared sea scallops. 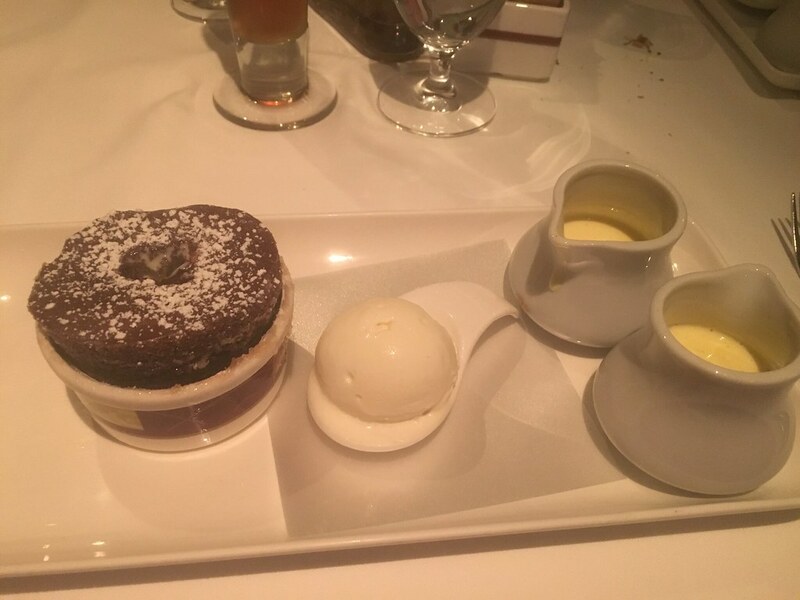 We all had the incredible chocolate souffle for dessert as well as a couple other desserts Luca insisted on bringing out. He wanted us to try a little of everything! 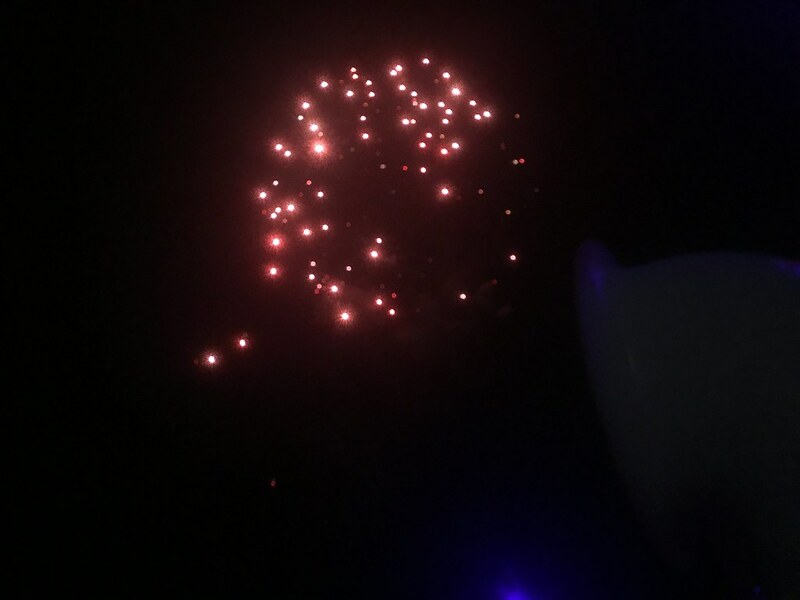 We finished dinner just in time to see the pirate party fireworks. Photos don’t do them justice. Then it was back to our room for bed. 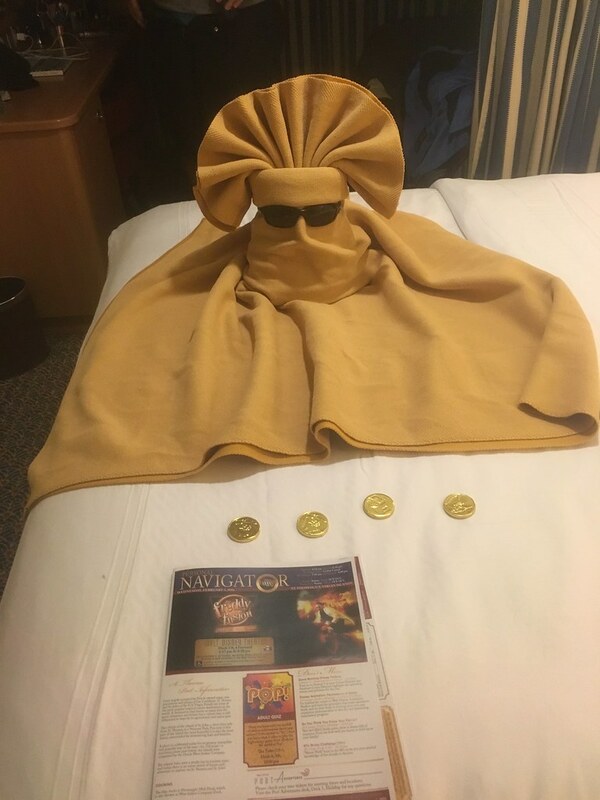 Discovered a cool Aztec looking sun god on our bed! Another early morning tomorrow…in St. Thomas!! !